Science Based Nutrition Just like a finger print, your blood chemistries and metabolism are unique. Our program is designed with that in mind. Pulsed Electromagnetic Field Therapy Natural Pulsed Electromagnetic Therapy No Prescription Required for PEMF Pulsed electromagnetic field therapy (PEMF), an all-natural pain relief solution. Neurofeedback The brain plays an active role is nearly every function of your body. Complete Chiropractic Professional chiropractic adjustment and therapies are effective options to relieve conditions such as headaches, carpal tunnel syndrome, back pain, and neck pain. Thank you for visiting the website of Mount Holly Springs Chiropractor Dr. Martin S. Gildea at Gildea Health and Wellness- a professional Mount Holly chiropractic clinic. At Gildea Health & Wellness, we take a holistic approach to helping our patients achieve an unprecedented level of wellness and physical health. In practice as well as online, Mount Holly Springs Pennsylvania 17065 chiropractor Dr. Gildea strives for excellence through superior patient treatment, education and satisfaction. Our effective, drug-free services focus on finding and correcting the underlying causes of chronic pain and disease. Within our website, you will find all types of health and wellness related information including information about our office and services, chiropractic, back and neck pain, work and auto injuries, chronic disease and auto immune health concerns. As your provider, we’ll analyze your condition and create a custom wellness plan for you. Trust in our experience and cutting-edge treatments to help you be your best. We hope you enjoy the information within and share it with others. Again, thank you for visiting www.gildeahealthandwellness.com and remember to come back often. Call us today to make an appointment or to schedule a free consultation to learn more about our services. 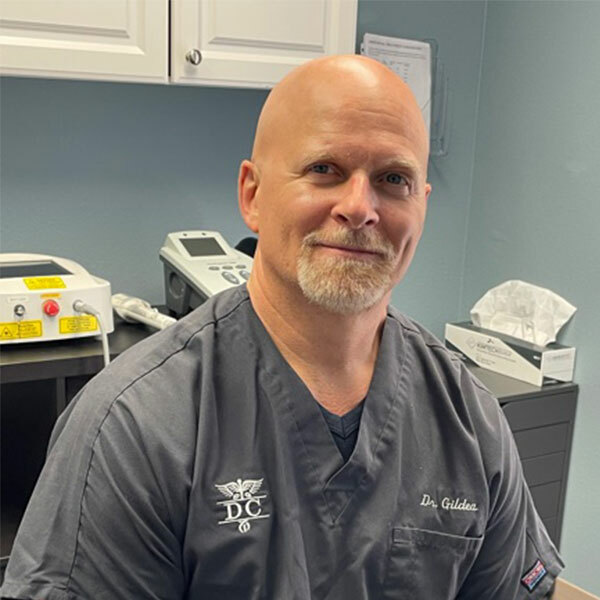 Dr. Gildea graduated from Palmer College of Chiropractic in Davenport, Iowa in 1989 with a B. S. in General Science as well as a Doctorate in Chiropractic. Prior to attending Palmer, he attended Bloomsburg University where he studied Biology and earned a Bachelors of Science degree. .
Got my first chiropractor experience here and it was magical. I will definitely be coming back for an adjustment regularly! Helped me get gluten free several years ago! Always feel better after a treatment!